Google’s search query Answer Box occupies valuable real estate at the top of a relevant search engine results page (SERP). Getting your site in the Answer Box puts you in a strong position, allowing you to skip over the competition and get the top spot on the SERP while bypassing traditional SEO requirements. Let’s take a look at how you can get there. What is the Answer Box? 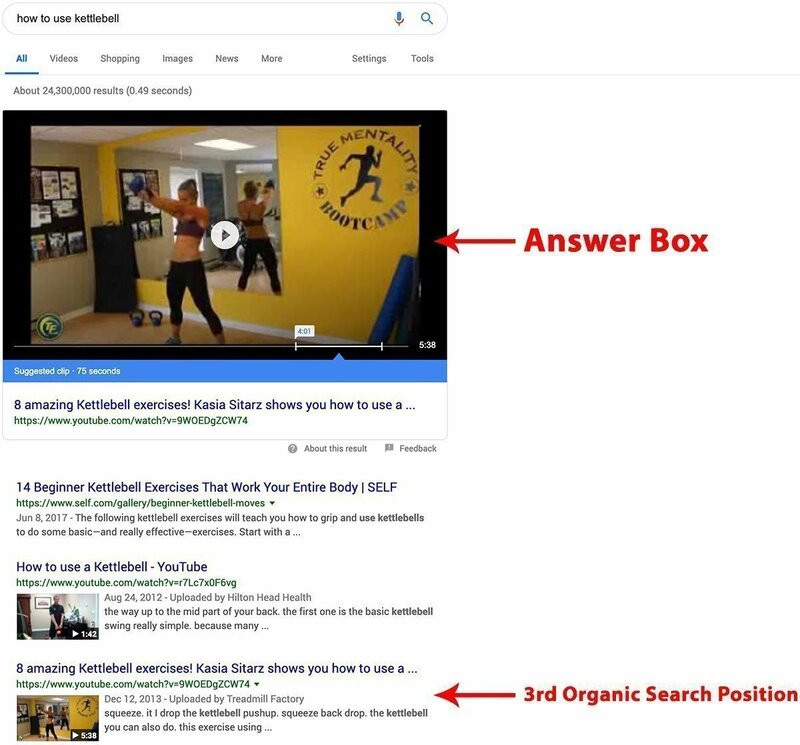 At this point, the percentage of search queries that trigger an Answer Box is in the teens, so there are lots of opportunities to get ahead in this area. To take advantage of that opportunity, you need to understand how snippets make it to the answer box. Snippets in the box can consist of single words, lists or charts, but most frequently, they’re short paragraphs that provide a summary answer to the query. As you can see in the example above, highly relevant words or phrases may be emphasized in an attempt to quickly answer the query. Many Answer Boxes come up in response to a question beginning with “how,” what,” “when” or “where” but some respond to a keyword phrase. 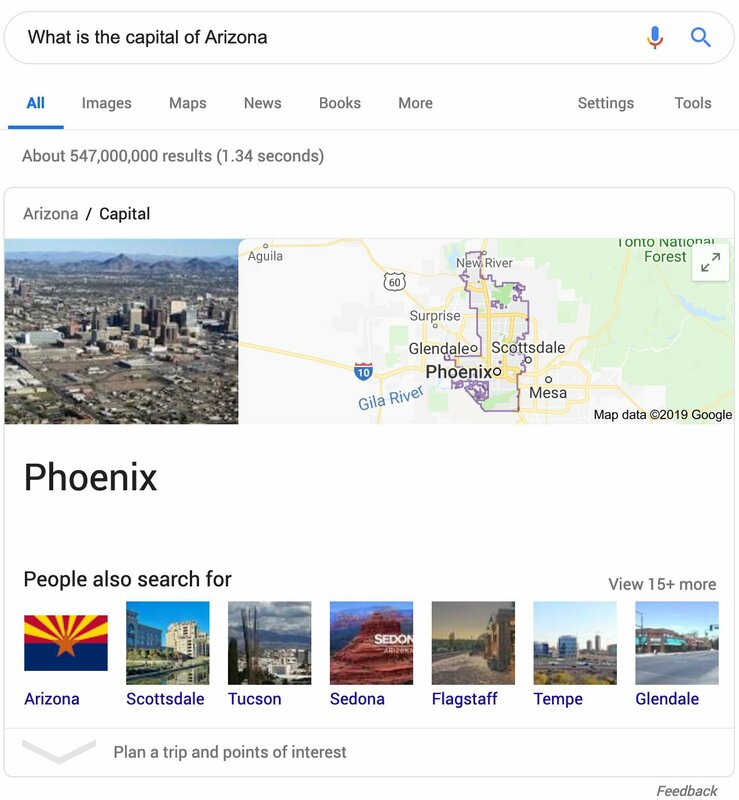 For example, if you search “What is the capital of Arizona,” you’ll see the below results. Some sources suggest that the first step to researching your snippet potential is to determine your SERP ranking for specific keywords. However, while it’s helpful to be in the top 10 search results, it’s not actually required. In fact, you may already be featured in the Answer Box and not know it. Several keyword research tools let you see whether your site comes up in any existing snippets. You can do this by searching for your site and digging into the full report. If you want to increase your number of Answer Box features, it’s best to start with some keyword research. Being smart about query choice is the first step toward optimization, so make sure you choose keywords that are relevant to what you do. The goal is to promote your site, not just to appear in the box. Moz’s Keyword Explorer is a great tool for research. There’s a SERP Features panel on the right-hand side of the page, and the featured snippet data is displayed in that section. You’ll find it marked with a scissors icon accompanied by the words “Featured Snippet.” Simply click into the SERP Features page and you’ll be able to explore the results. For example, you can enter “how to clean” in the Moz keyword explorer to find a list of suggested queries under the Keyword Suggestions portion of the Overview. You can also see more detail in the SERP analysis box, including the ranking potential for both a page (PA) and root domain (DA) associated with the “how to clean” keyword. This gives you a good idea of what your competition looks like, so follow these high SERP-ranked links as part of your research. These infographic charts will help you identify more opportunities and potential as well as find out how difficult the term is to optimize for. Please hover over the “i” icon on the Keyword Research tool to get more information about each chart. Read through the competitor content and identify opportunities to optimize that competitor out of the way. Issues with content quality, accuracy or formatting in the competitor’s snippet are all opportunities for you to take their place in the Answer Box. If there isn’t an existing featured snippet, you’ve got a golden opportunity to take the top spot. Now that you know what keywords to target, it’s time to optimize your content. Effective optimization doesn’t require a detailed understanding of how RankBrain and Hummingbird work, though that knowledge certainly can help. You can learn a lot by simply examining the snippets themselves. As you explore the Answer Box examples, you’ll notice that the content in the featured snippet usually matches the exact words used in the query. So as you write your snippet content, it’s best to be as literal as possible in answering the question in the query. For example, the snippet for the query “how to use kettlebell” comes from the 3rd SERP result as of this writing. The answer in the box provides a direct, detailed response to the query, and it targets the keyword multiple times. The snippet excerpts a page that uses the keywords “how to” and “kettlebell” more times than the #1 ranked page for this query. The word “kettlebell” also appears twice in the snippet article’s title, and it’s in each of the page’s section headers as well. As you can see, being literal about the query can help you hurdle over the #1 ranked page. A word of caution about this: keyword stuffing is still not a good idea. Stick with SEO best practices as you optimize. The featured snippet in this example does feature search keywords quite frequently, but it also provides a lot of additional content. The ratio of keyword use to other content is relatively low. Avoiding keyword stuffing is a good first step in optimization, but the additional content you provide also has to be of high quality. 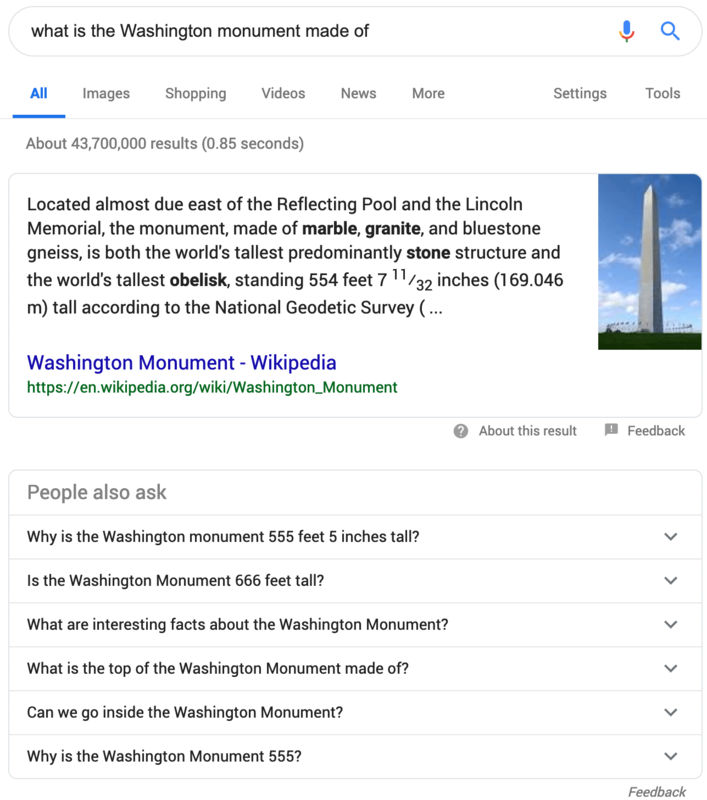 Google evaluates Answer Box snippets for information accuracy, so if you’re just repeating keywords and padding it out with fluff content, you probably won’t get a featured snippet. It’s most effective to provide valuable, correct information. Content formatting is also important; Google includes lists, paragraphs, and charts in its Answer Boxes, and they’re usually accompanied by an image. Finally, remember that being in the Answer Box doesn’t mean you’ll stay there. If your site is already featured in Answer Boxes, the next step is to optimize and improve the content on those pages so you can maintain your prime position. If you can balance all these elements, you can gain important SERP leverage and drive more traffic to your site. There are a lot of open opportunities available in this area of SEO at the moment, so now’s the time to start experimenting. If you can get on the cutting edge of Answer Box optimization, you may even be able to edge out some major competitors.